Stop chasing renewals and let the system remind and automate membership dues collections. Set your criteria and focus on the exceptions, not the daily grind. Allow members to see their statements, pay online, and download invoices directly, in addition to automated email reminders. See a detailed account of members' financial history throughout the course of their membership. Track which members have consistently renewed and paid their dues on time every time and which have often lagged behind, and create custom triggers to increase renewal rates. Customize renewal terms with varying pricing structures to suit the needs of a more diverse membership. 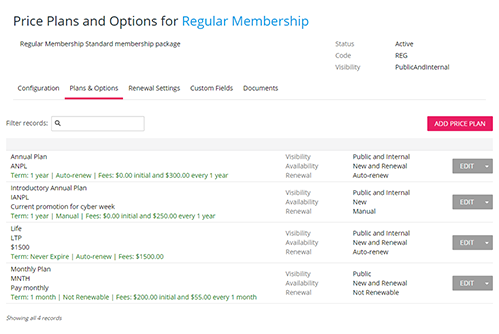 Configure different expiry dates, or subscription requirements, perks, applicable discounts, grace periods, initiation fees and more for each membership type. Upsell journal subscriptions, additional product, or content access right within the renewal process to increase your dues revenue. You decide which type gets which preferences, options and payment plans, to create even more value for your top tier levels. Upsell a variety of items on your website, or associate products with events and membership signups and renewals to boost sales. 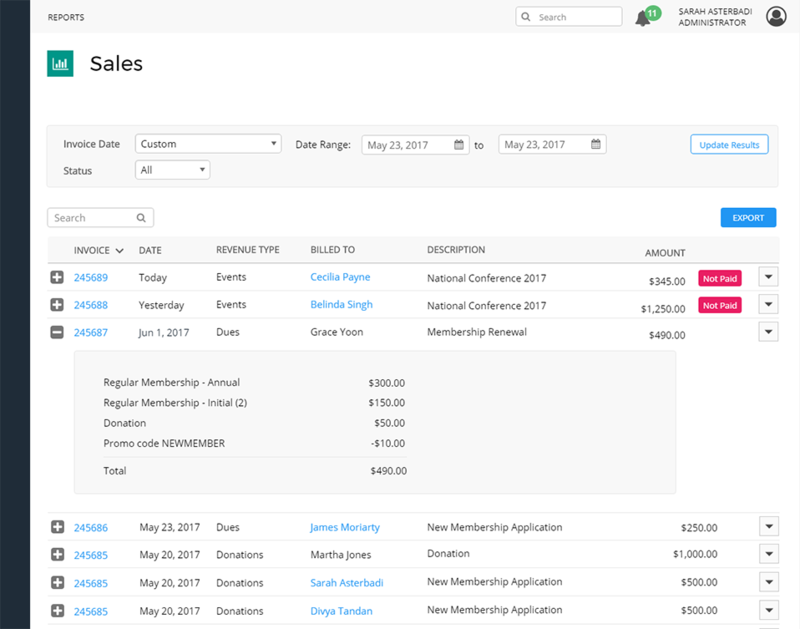 Automate your sponsorship sales whether for fixed-fee event sponsors or offer a subscription model for advertising throughout your website or newsletters. Never miss an opportunity to get donations, whether it's during an event signup, email campaign, or on your website. Setup online donations forms with custom questions, and automatically track lifetime or annual contributions by member.